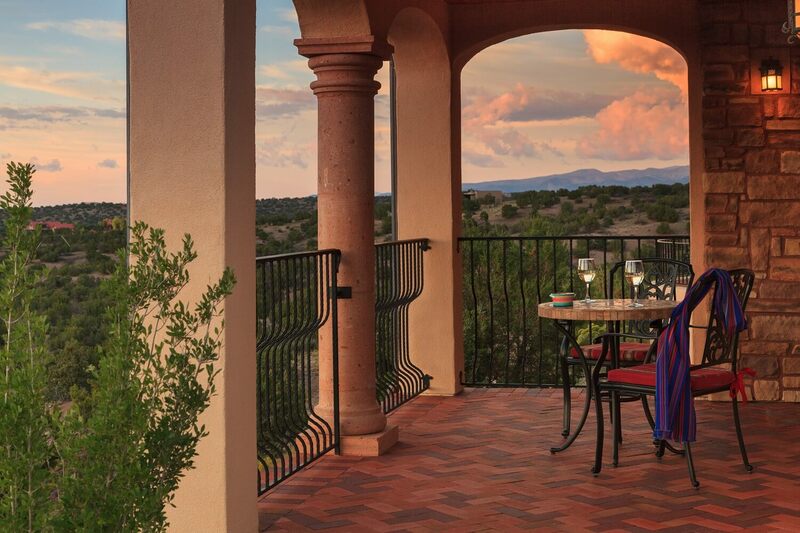 One of the best Santa Fe vacation rentals available! 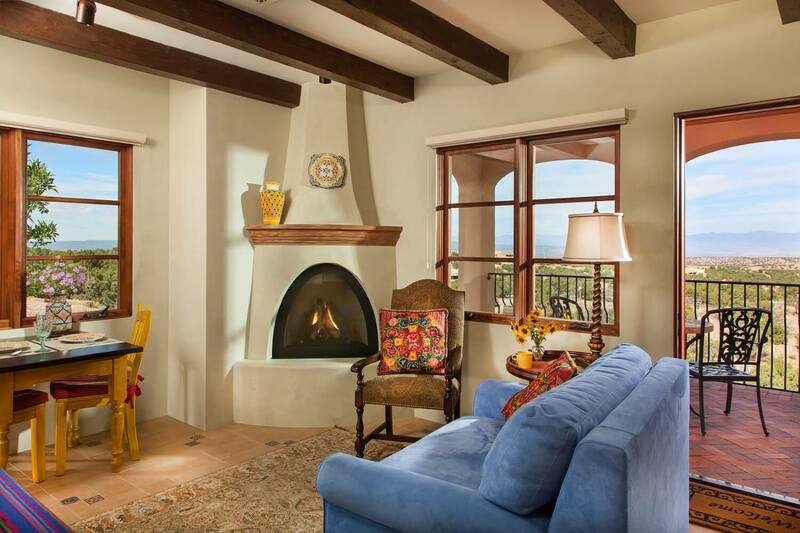 Relax and unwind at our luxury Santa Fe vacation rental at Four Kachinas Inn. 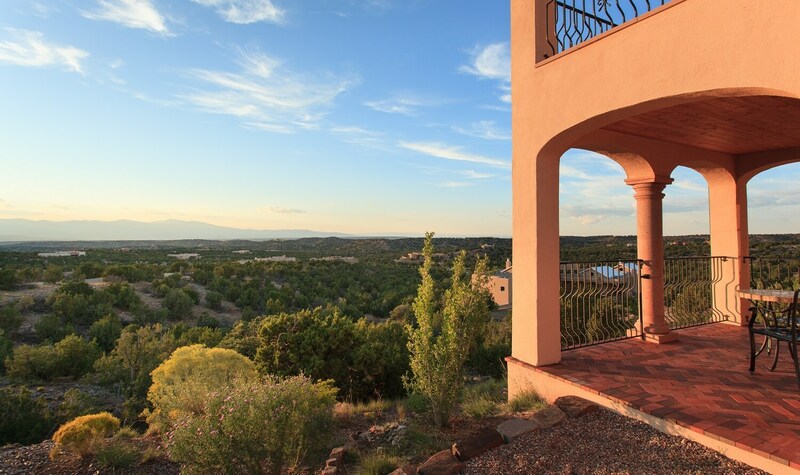 Our rental is a charming new Spanish Hacienda casita located a short 15-minute drive from the Santa Fe Plaza. 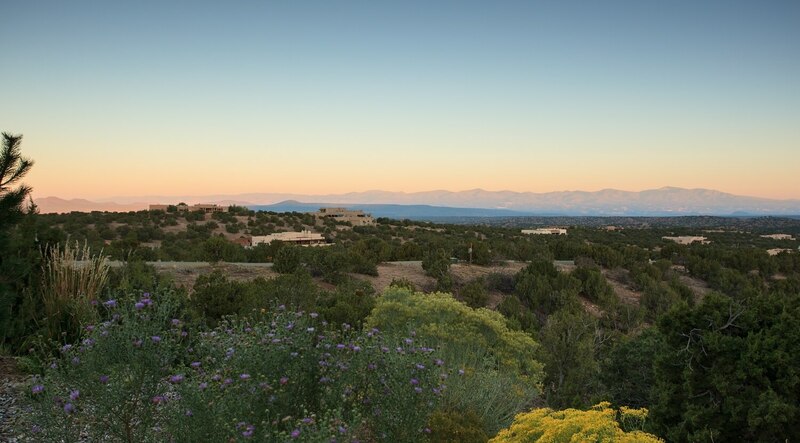 The property is located northwest of downtown Santa Fe near Las Campanas off of Hwy. 599. 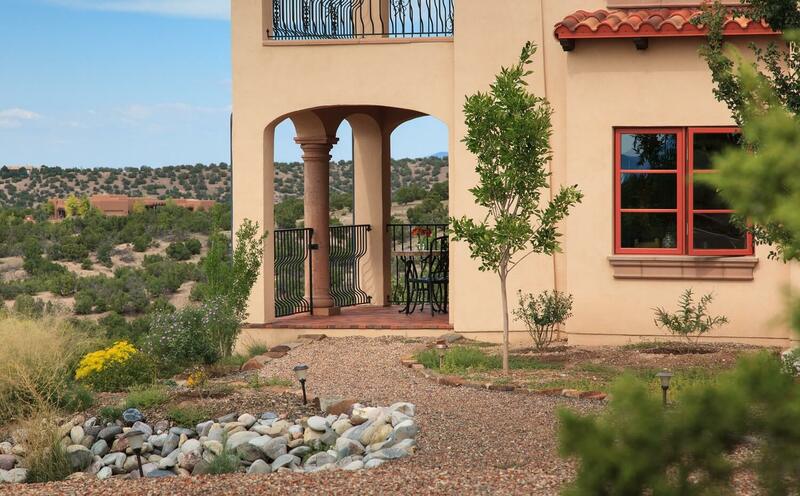 You will enjoy spectacular views of both the Jemez and Sangre de Cristo mountains from the quiet sitting room or your private covered portal. This house is newly built and won the People’s Choice award in 2009. 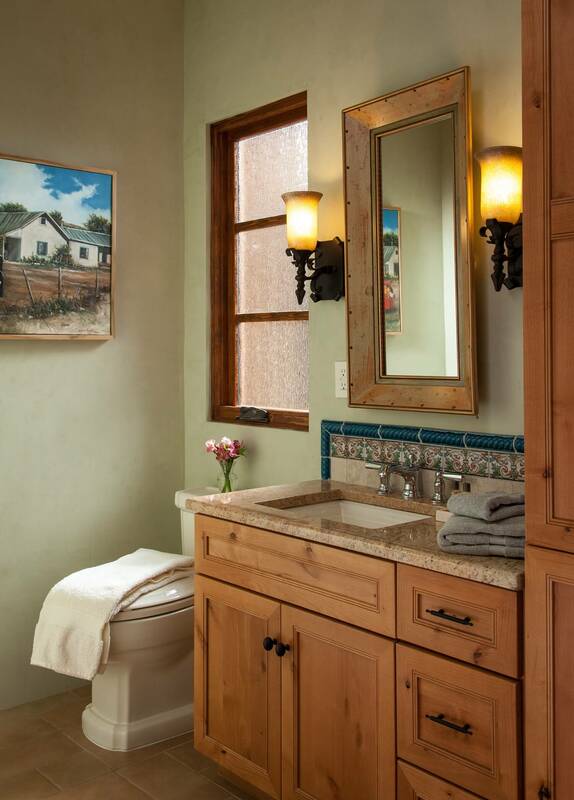 The casita is complete with a fully equipped kitchen, small dining area, Kiva fireplace in the sitting room, bedroom with a king bed, and bath with a jetted tub and shower. 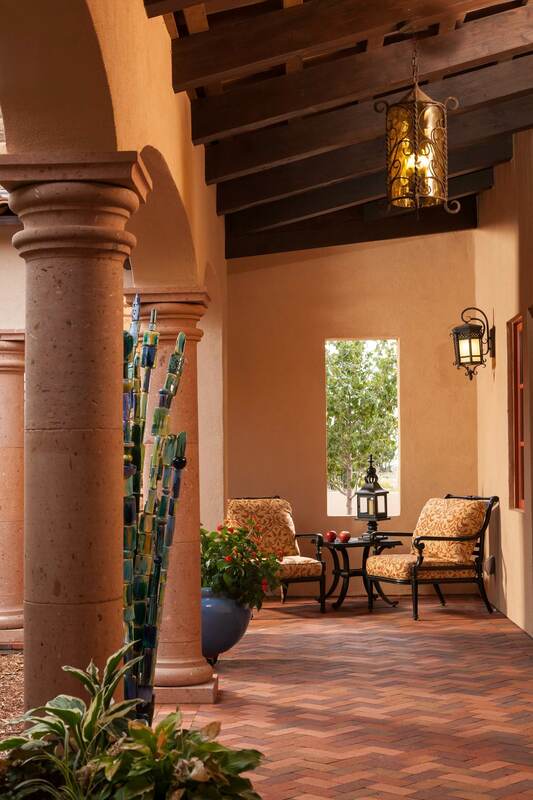 Unlike other Santa Fe vacation rentals, there is access from the bedroom to a central partially covered courtyard built in the traditional Spanish style. 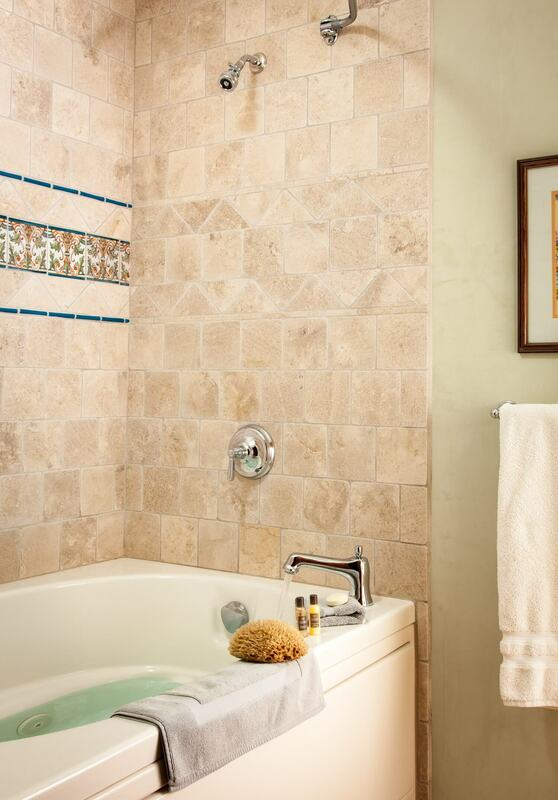 The casita has a distinctive Southwestern feel with tile floors, hand plastered walls, and beamed ceiling. 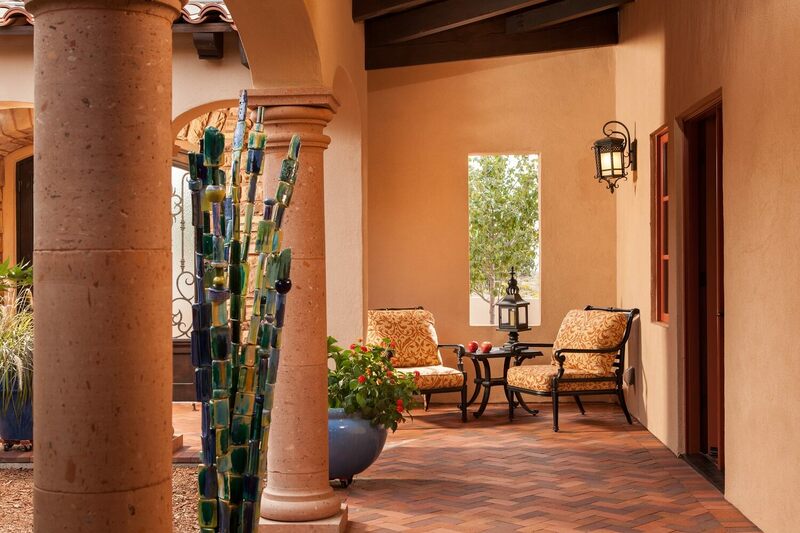 It is completely furnished with the colorful, tasteful and warm decor and art. 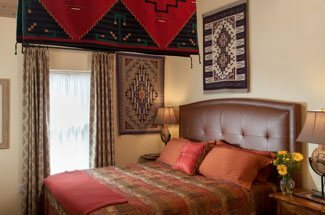 Modern amenities such as a flat panel TV, wireless internet, CD/DVD player, new full-sized kitchen appliances, and private line cordless phone. 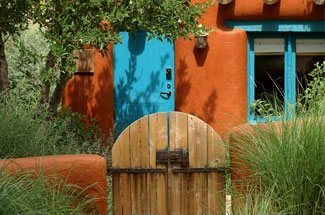 We also provide useful Santa Fe visitor information such as maps, guidebooks, restaurant menus, and current event listings. 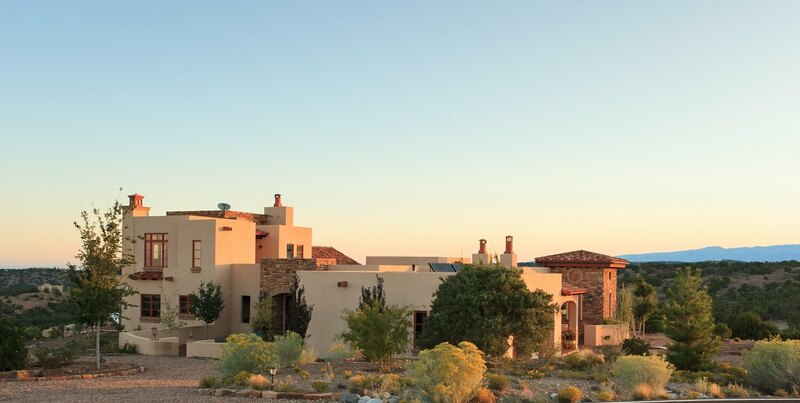 The property owners also own two Select Registry bed and breakfast properties in the historic district of Santa Fe (El Farolito and the Four Kachinas Inn). 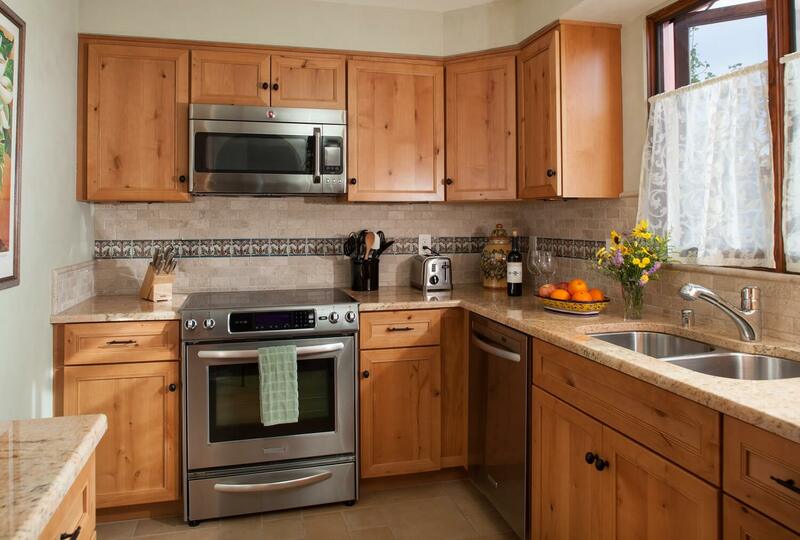 The same care and attention to detail demonstrated in operating these two inns is shown here at the vacation rental. 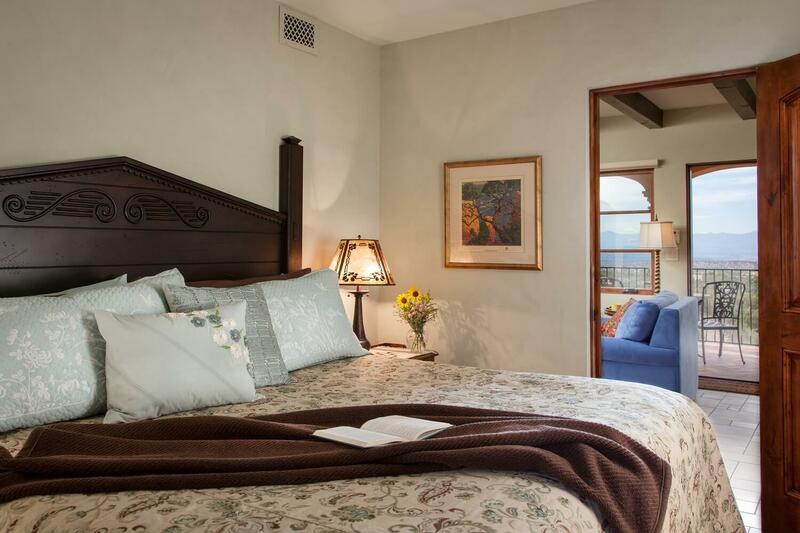 Occupants of this casita will have access to free parking at one of the owner’s downtown inns each of which is a 7 to 10-minute walk to the Plaza.